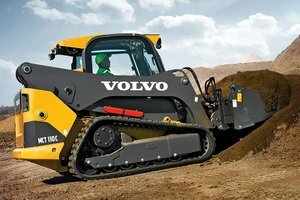 1000900 MC110 VOLVO MC110 Skid Steer Loader Spare parts catalog. Service manual. 1000901 MC110B VOLVO MC110B Skid Steer Loader Spare parts catalog. Service manual. 1000902 MC60 VOLVO MC60 Skid Steer Loader Spare parts catalog. Service manual. 1000903 MC60B VOLVO MC60B Skid Steer Loader Spare parts catalog. Service manual. 1000904 MC70 VOLVO MC70 Skid Steer Loader Spare parts catalog. Service manual. 1000905 MC70B VOLVO MC70B Skid Steer Loader Spare parts catalog. Service manual. 1000906 MC80 VOLVO MC80 Skid Steer Loader Spare parts catalog. Service manual. 1000907 MC80B VOLVO MC80B Skid Steer Loader Spare parts catalog. Service manual. 1000908 MC90 VOLVO MC90 Skid Steer Loader Spare parts catalog. Service manual. 1000909 MC90B VOLVO MC90B Skid Steer Loader Spare parts catalog. Service manual.